Marcus Bull. 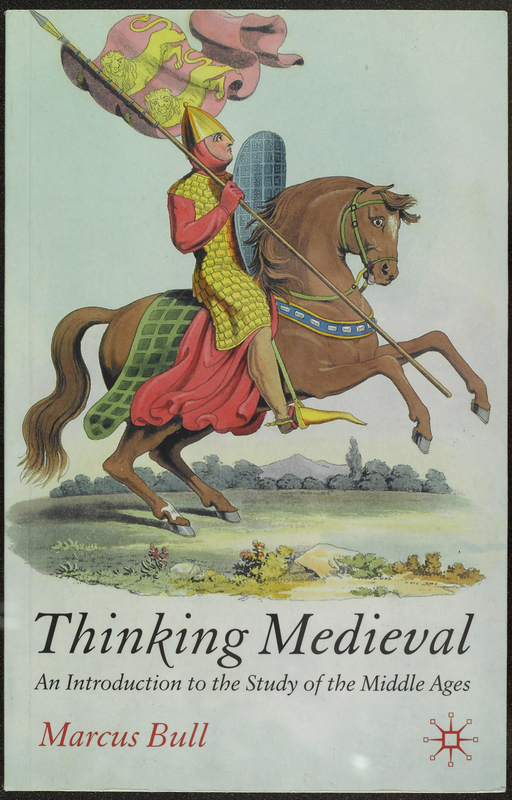 Thinking Medieval: An Introduction to the Study of the Middle Ages. New York: Palgrave MacMillian, 2005. How do you know the Middle Ages? The works make reference to both literary works and pop culture. Why are certain stories told again and again - why do they continue to resonate with us? Consider how we change and reinterpret the Middle Ages and the stories associated with them. Contrast these reinterpretations with actual medieval texts. This assemblage of material asks you to consider your own associations with the Middle Ages or medieval. What has influenced your understanding about this period of history? Are there certain words or images that are immediately conjured? There are neither right nor wrong answers - merely a challenge to consider your own construction of the Middle Ages. Also consider how different historical periods re-interpret or are influenced by the Middle Ages. How does it change over time? Are there certain images from the Middle Ages that appeal to different people at different times? Also consider not only when the text was written but also when it was illustrated - they do not always coincide.